Many elementary school teachers love to teach reading and writing, but are less comfortable with science and math. It’s not a hard and fast truth, of course, but learning to read is a big focus of the early school years, so it makes sense that teachers who gravitate toward elementary school like teaching literacy. But it’s also important to expose kids to science early and get them excited about the practices that define scientific inquiry. And literature may be the perfect starting point. Stories are full of tension, conflict and dilemmas that make wonderful departure points for engineering projects that weave subjects together. Researchers at Tufts Center for Engineering Education and Outreach partnered with teachers to design a program they call Novel Engineering, which plays on the literary strengths of elementary school teachers to help them explore hands-on science-oriented activities in their classrooms. Teachers pick a book with tension in it to read, but stop halfway to ask students to generate a list of problems the character is facing. Then students split off into pairs to design, prototype, test and iterate on solutions to their chosen problem. 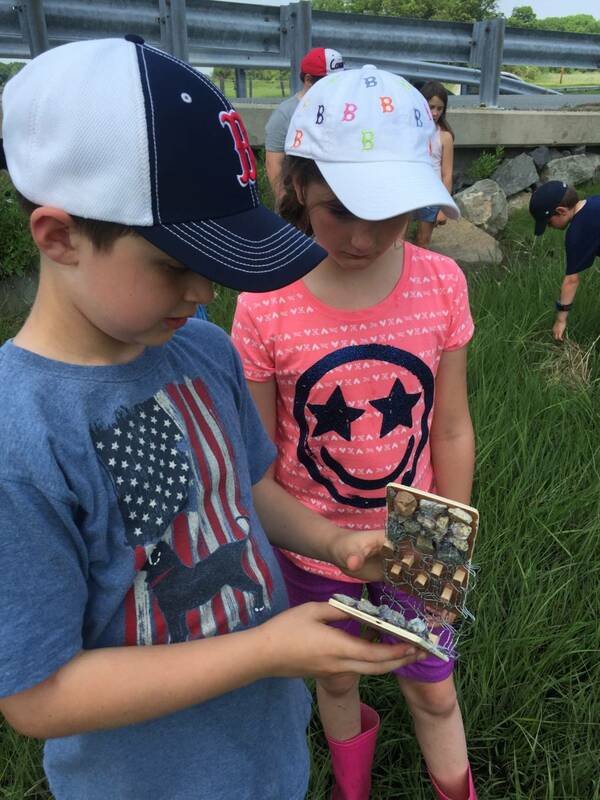 Martin Daignault’s fourth-grade class at Winthrop School in Massachusetts tried Novel Engineering in one of the first weeks of class with Kate DiCamillo’s book, The Tiger Rising. The story revolves around a boy who finds a caged tiger in the woods near his house. When the class stopped to identify problems, one boy noted that he wanted to give the tiger more freedom, but he also realized that if the tiger were free it would not only endanger the community, but that very freedom would also put the tiger at risk. During the design and engineering time, he built a leash system for the tiger. Later, when the class finished the story, it turned out this student had correctly predicted what would happen to the tiger a hundred pages before it did. “I think he felt tremendous pride,” Daignault said of the student, who happened to have difficulty reading. All Daignault knew about the student at this point in the year was that he had an Individual Education Program (IEP) and struggled with reading, but after this activity he saw what a deep thinker the kid was, too. That helped set them on a positive course for the rest of the year. Brainstorming a list of problems in the book helped all students to read the text more deeply and got them excited to try to solve the issues they generated themselves. “Every person in the room had different takes on the big important parts of a story,” Daignault said, and the activity set a tone of exploration, deep reading and hands-on play for the rest of the year. 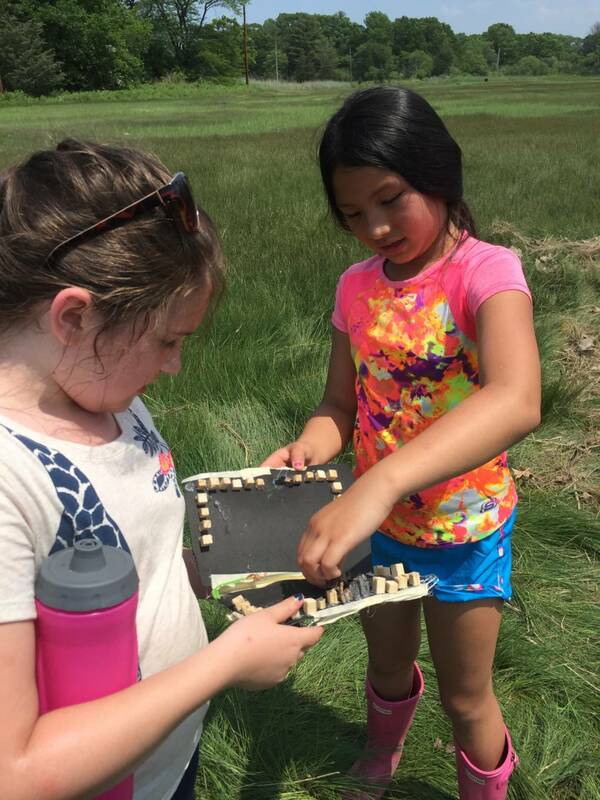 “We all agreed it was time well spent,” Daignault said of the team of fourth-grade teachers who have been working together to use Novel Engineering to deepen and extend their experience with practices in the Next Generation Science Standards (NGSS). There’s no extra time in the school year, so the week that Alicia Thomas, Gretchen Marinopoulos, Katie Norris, Robbyn Wile and Daignault spent with their classes reading, discussing, brainstorming, designing, problem-solving, testing and designing again was precious. Designing a program that wouldn’t be an add-on to what teachers are already doing, but that would offer opportunities for them to experiment with interdisciplinary learning, was a goal for the Tufts staff designing Novel Engineering. Originally intended for third through fifth grade, staff now work with K-8 teachers and don’t see why it can’t work with high school as well. “We really wanted to make sure it was flexible and it was based on books teachers were already using in the classroom,” said Elissa Milto, the program manager and a former classroom teacher. She understands teachers aren’t looking for a whole new curriculum, but that they do appreciate ideas that can be flexibly used within their existing standards. “It’s really focused on the students’ ideas rather than the teacher coming up with the problem they’re going to solve,” Milto said. This part is crucial because it not only requires students to read and understand the book deeply, but it builds their interest and motivation for the project. Teachers also encourage students to look to the text to guide their design choices so that they make something the specific characters would use. In Tales of a Fourth Grade Nothing, for example, Peter’s younger brother, Fudge, is always annoying him. At one point the 3-year-old messes with Peter’s turtle, but their Mom says Peter can’t lock the door to his room. Students might see keeping the turtle safe from Fudge as the problem, but they have to develop a system to do so without keeping the little boy out. In one class Milto observed, the students designed a pulley system that could raise and lower the turtle out of Fudge’s reach. Novel Engineering is meant to be accessible to any classroom, regardless of materials, so often students are only building prototypes of their solutions, not life-size pulleys. However, Milto stresses that the solutions should be functional, not representational, and there should be a way to test if the prototype works. So, for example, does the cardboard and rope contraption hold the weight of a turtle? “We don’t want it to be a craft project,” Milto said. 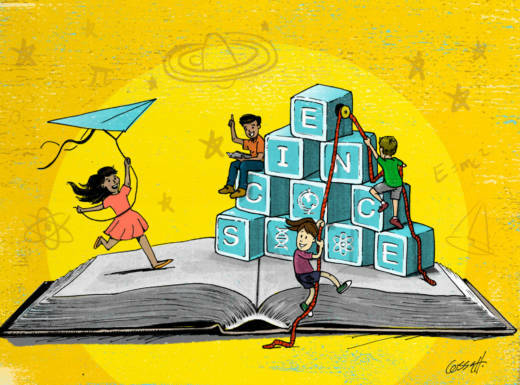 The goal is to use literature as a way for teachers and students to get their feet wet with engineering cycles and concepts, as well as to offer authentic entry points to discussions of required science content. In one classroom Milto worked in, a group of students realized packing foam floated. That led to a whole class discussion of buoyancy and things that float or sink. “The open-endedness is more scary to teachers than the engineering part,” Milto said. She has observed that when teachers are less comfortable with a subject, they naturally tend to try to control the activities around it more. So when students pick the problem they work on and the materials they use -- and not every student is working on the same problem or using the same materials -- it can be a little scary at first. “They really have to let themselves be open to their kids and the kids' ideas,” she said. “They don’t need to be responsible for everything.” Her team tries to help ease teachers into that mindset by having them do their own design challenge in professional development. When they experience the process they are often more open to leading it themselves. While kids often love the freedom of Novel Engineering when they get the hang of it, there’s also a learning curve. Milto recommends that teachers start with a picture book so that they can go through the process quickly once as a group. Often student designs aren’t very functional at first, so picking one problem to work on as a group gives the opportunity to model critiquing a first iteration, problem-solving through any issues, and easing students into an activity that may feel strange to them at first. It also gives teachers a chance to practice facilitation before setting students loose on their own projects. While it’s easy to focus on the final presentation, incorporating a chance for students to get feedback from peers on their designs is often the most important part of the experience. Sometimes kids commit to an idea early and have a hard time changing direction without a moment to hear and reflect on feedback. And often it’s this mid-design check-in that spurs the most authentic and creative problem-solving. Since the goal of the project is to integrate literary and scientific thinking, the books that work best have concrete problems. Science fiction or fantasy doesn’t work well because the solutions shouldn’t involve magic. Daignault’s team used the Novel Engineering approach with an I Survived book on extreme weather to introduce the topic. One group was trying to find a solution for an uncle in the story who was caught in the storm, cut off from help. The group decided to design a bunker that could be quickly assembled when a storm came on quickly. They decided a tarp rolled over a ditch would do the trick. But when they tested how it would hold up in a tornado by blowing a fan over the top, the students realized the tarp wouldn’t hold its position. That’ when they designed stakes to secure it. “They went through three or four different designs to find something that worked well,” Daignault said. Along the way they took notes on what worked, what needed changing and how they planned to redesign the bunker. They also drew diagrams that they used to guide their work. Daignault was impressed with how students stuck with the project even when they hit difficulties, and while the learning about weather didn’t go very deep in this project, it gave students prior knowledge for later learning. “It really was better than something we might have come up with that would have been more contrived,” Daignault said. He’s already scheming up ways he might use the practice to integrate social studies, but also recognizes that it’s a first step for his team as they try to develop their science teaching. Ultimately he’d like science to be all about kids thinking for themselves, making sense of topics, and he doesn’t think Novel Engineering goes deep enough. But, he said many people on his team weren’t comfortable with design principles or science concepts before starting the project, and afterward they are more prepared to dig deeper. He thinks a workshop model like the one his school uses for reading and writing might work. It’s something he and his team are exploring now. One of the hardest parts for students is often working together. But helping them find ways to be collaborative, to compromise on ideas, and to learn from one another is also a valuable skill set and one that Daignault recognizes. But he and his colleagues are having a harder time documenting what progress looks like on those “process skills.” Milto suggested that one way to emphasize these skills is through reflection at the end. Students could write about the experience of working in a group, what was hard, what worked and what they might do differently next time. One group of fourth-grade girls she worked with spent so much time planning their design that when they went to build it they didn’t have much time or many materials to use. She came back the following year and that same group of girls were able to have a clear conversation about where their process went wrong before. On their second try they set strict time limits on each stage of the project so they’d keep moving along. “We’re finding that students are able to do a lot more than we give them credit for,” Milto said. She often coaches teachers to step back and let students take charge, only stepping in if they see students are so frustrated that they aren't moving forward. But rather than helping them solve the problem, she suggests questioning students to help get them unstuck. Once they have a new avenue of thought to pursue, they can keep working and continue to build their learning autonomy.